Mold removal should only be properly completed by trained and certified professionals. Mastertech has safely performed thousands of thorough and effective South Jersey mold removal projects and has been voted The Best of the Best by Angie’s List 2 years in a row! We are A+ rated by the Better Business Bureau and are properly licensed and insured. 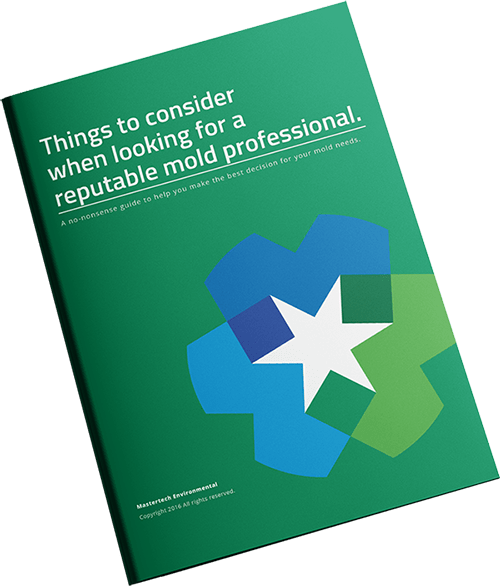 We provide a 5 year mold-free warranty with every professional mold removal job and guarantee that we do the job right – the 1st time. We use an oxidative mold removal method that harnesses oxidizing agents, surfactants and surface cleaners that target bio-contaminates found in our homes, schools and commercial buildings. The oxidative removal process has been proven to be more effective at removing bio-contaminants than any other currently used removal methods. Our mold disposal process is more effective, AND it is also environmentally safe. We do not use powerful pesticides, and there are no dangerous residual chemicals or heavy metals remaining after removal is complete. Because the mold disposal process is safer and more effective, Mastertech’s professional mold removal technicians are able to increase project safety and efficacy. 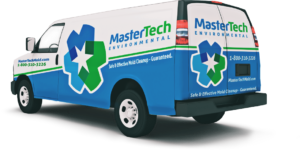 Mastertech Environmental is certified to perform professional mold removal and restoration throughout South Jersey. If you need mold removal in Pennsylvania or a mold removal in North Jersey then we are the team with a safe, effective and efficient solution.